With Derrick Rose recovering from a torn ACL, finding another guard who will potentially be able to contribute as a rookie became a priority for General Manager Gar Forman and his staff. Rose underwent surgery on May 12 and won’t likely return until the early part of 2013. Though Teague played just one season collegiately, he comes to the NBA as a winner. He started all 40 of Kentucky’s games as the Wildcats went 38-2 en route to the 2012 NCAA National Championship, making him the fourth player on the Bulls’ roster to have won a title in college (Carlos Boozer, Richard Hamilton and Joakim Noah). In his draft preview video at NBA.com, Teague said Spurs guard Tony Parker is among the players he watches. 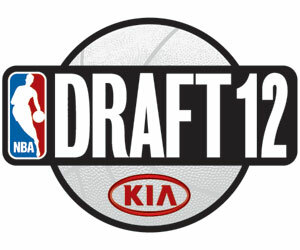 Bulls.com’s Sam Smith noted that many draft experts had Teague, whose older brother Jeff plays for the Atlanta Hawks, slated to be off the board by the time Chicago made its pick. Smith had Teague ranked as the third best point guard available in this year’s draft, behind Damian Lillard (No. 6) and Kendall Marshall (No. 13), and ahead of Tony Wroten (No. 25). Earlier this month in comments made to BullsTV as part of a fan Q & A, Forman said he was optimistic that the Bulls would find a player at No. 29 who would be able to contribute, someone along the lines of Taj Gibson (selected 26th overall in 2009) or Jimmy Butler (30th in 2011). Teague, at 19 years of age, will have an opportunity to do just that. A native of Indianapolis, Teague went to Pike High School, where he averaged 22.7 points, 5.9 assists and 4.2 rebounds and was one of five finalists for the Naismith Award for the National High School Player of the Year. “It’s a deep draft and we’ll be able to address a need with our pick and get a player that’s going to fit into our team, both from a culture standpoint and from a strategic standpoint,” said Forman. Forman also acknowledged that without Rose, the Bulls have hit a bump in the road. But, between the expectation that Rose will return to form and the team’s long term assets—including a future first round draft pick from Charlotte and Nicola Mirotic, currently playing for Real Madrid—he remains highly optimistic about what is to come.